Introducing the Refuge Series by DOA Decoy. 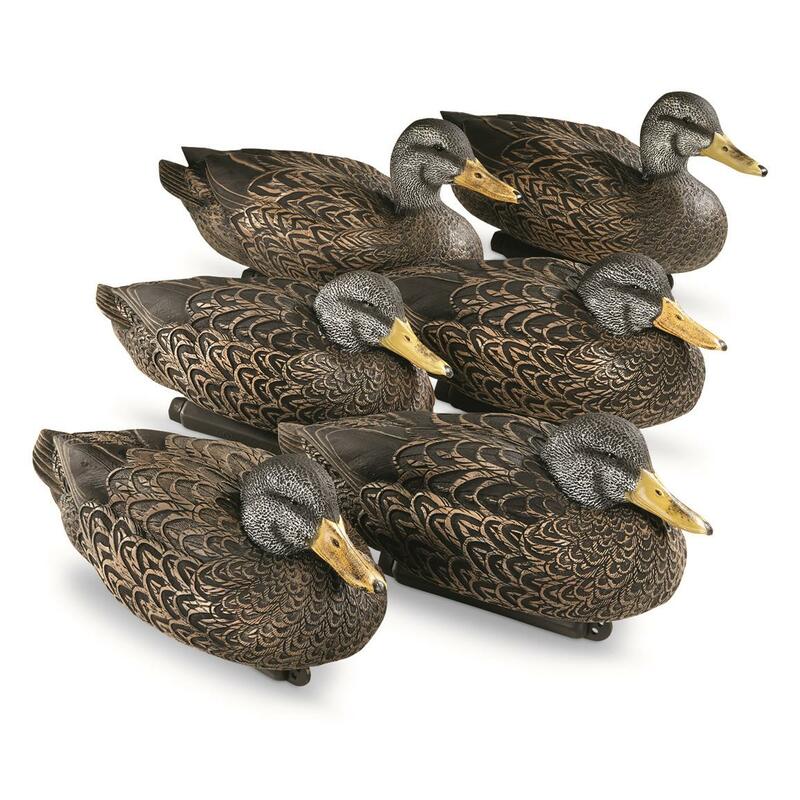 DOA hired two of the best wildfowl carvers in the industry to create the most realistic, anatomically correct decoys ever brought to market. The incredibly detailed molds are finished in an exclusive 8-step paint process that brings each to life. 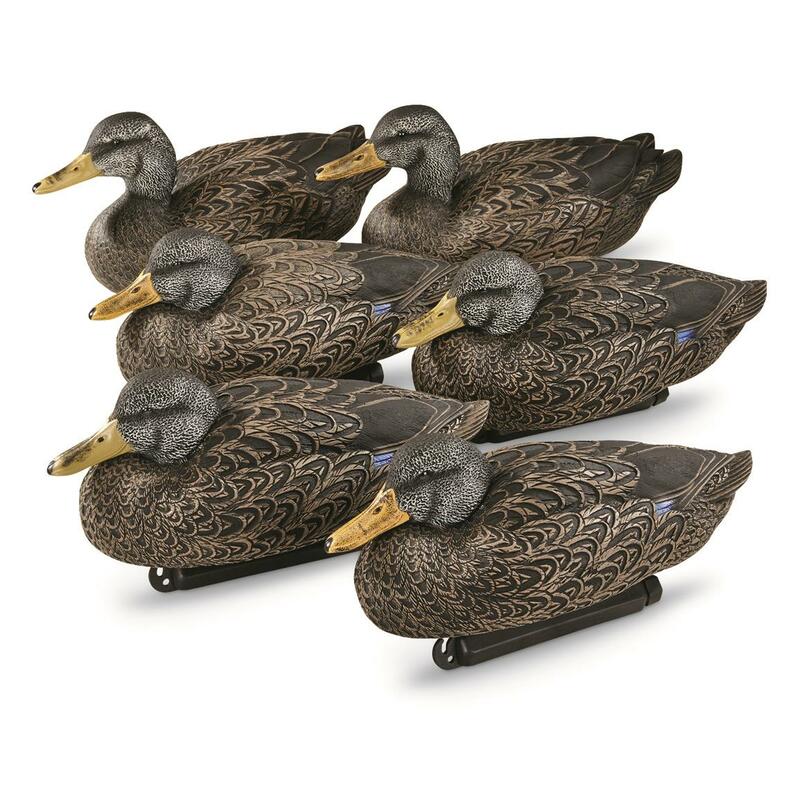 Black Duck Floaters have weighted, recessed hexagonal keels that make them dance in even the slightest wind or current. 6-Pack includes 1 upright drake, 2 resting drakes, 2 resting hens and 1 upright hen. Upright Drake Dimensions: 17"l. x 6.75"w. x 7"h.
Upright Drake Weight: 2.5 lbs. Resting Drake Dimensions: 16"l. x 7"w. x 5.25"h.
Resting Drake Weight: 2.5 lbs. Resting Hen Dimensions: 16"l. x 7"w. x 5.25"h.
Resting Hen Weight: 2.5 lbs. Upright Hen Dimensions: 17"l. x 6.75"w. x 7"h.
Upright Hen Weight: 2.5 lbs.